A distinguished place in terms of people, geography and history, Louisiana has for a long time attracted countless artists, begging to be studied and used for its limitless potential as a source of inspiration. 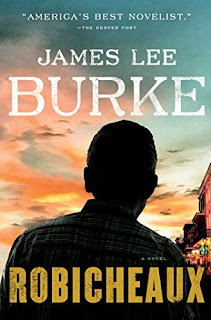 James Lee Burke is one of the many authors to have seized upon this opportunity, using the atmospheric backdrop for his detective series, Dave Robicheaux. Centring on a broken and haunted war veteran turned detective, the series has seen him tackling one ghost from his past after the next all while trying to stay afloat in the twisted and murderous swamps practically beckoning to him. In the latest novel about the alcoholic, Vietnam veteran, widower detective, titled very simply Robicheaux, we once again return to the mysterious towns and backwoods of Louisiana as a murder investigation takes the titular character on a path of self-discovery he could have never anticipated. America's history may be relatively short when compared to most other countries in the world, but it is already full of small pockets in danger of being forgotten by our records. While some would argue it best to sweep things under the rug, I feel most of us agree a country should own up to its history, no matter how grim it might be, so the same errors do not repeat themselves. 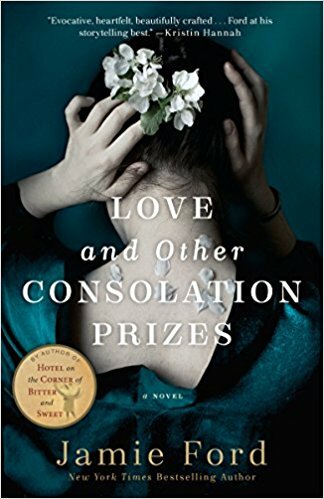 In an attempt to remind us of the tragedies we've forgotten, some authors have taken it upon themselves to shine light on subjects hitting close to home, and it's precisely what Jamie Ford did with his numerous writings centred on Asian-Americans during the 19th and early 20th centuries, including Hotel on the Corner of Bitter and Sweet and Song of Willow Frost. We'll be exploring another one of his acclaimed novels revolving around the subject, titled Love and Other Consolation Prizes , centred on a Chinese boy with a most peculiar destiny.